Mamiya is far better known for their medium format cameras than 35mm. And yet the fact is that they had a long line of 35mm cameras in rangefinder and SLR styles. 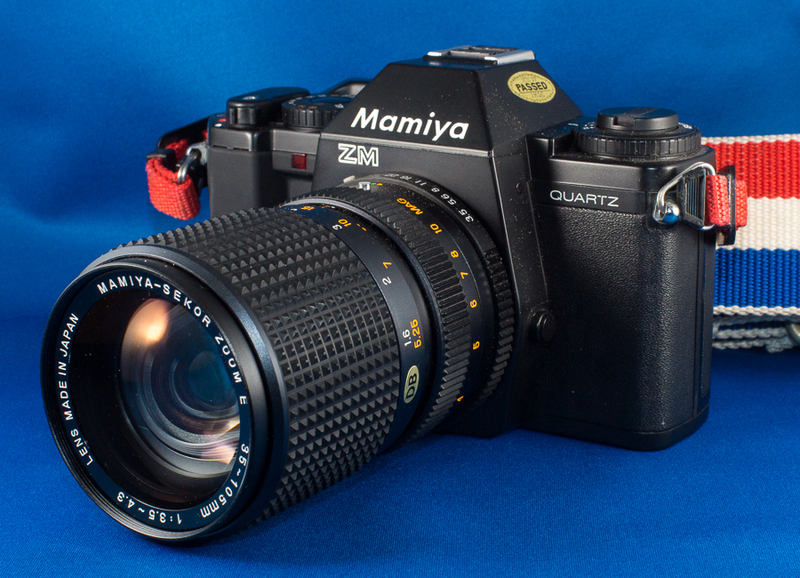 The ZM Quartz is of significance because it is the last 35mm SLR ever made by Mamiya. 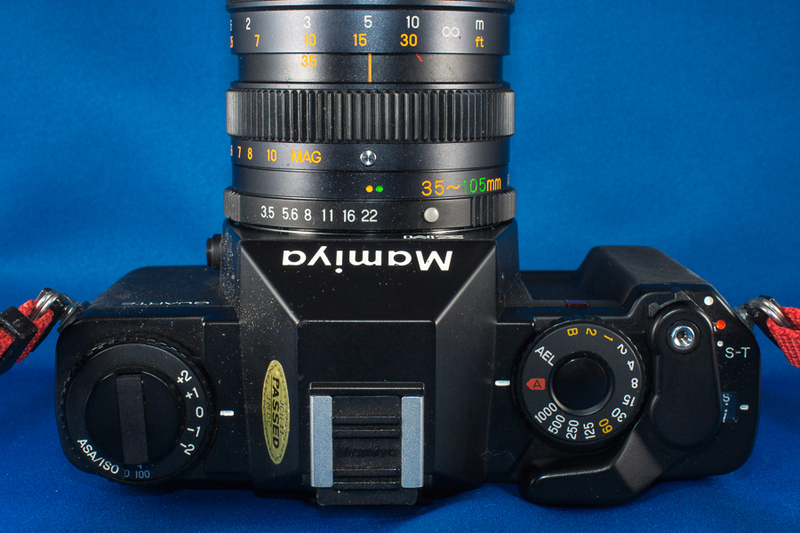 It was released in 1982 and was the fourth version of the Z-line which is known for being the first example of electronic lens-to-body connections. The ZM is a manual focus camera that offers an aperture priority mode in addition to manual metering. Exposure compensation is +2 to -2 in one stop increments and there is also an AEL function and a built in self timer. The lens that came with this camera is the Mamiya-Sekor Zoom E 35-105mm f/3.5-4.3 zoom. It is a rather strange lens because it has a third ring that is used for close-up photography. By turning this ring one can increase the magnification, or in other words, shorten the minimum focusing distance. The ring has values from 10 down to 4 on it so I presume that is an indicator of magnification ratio. Since it only goes to 4 or 1:4 magnification you can’t really call this a macro lens. But I can see where this magnification ring might be helpful since the minimum focusing distance of this lens is a whopping 1.6 meters. Using the magnification ring is akin to using spacer rings since you lose infinity focus as soon as the ring is turned. 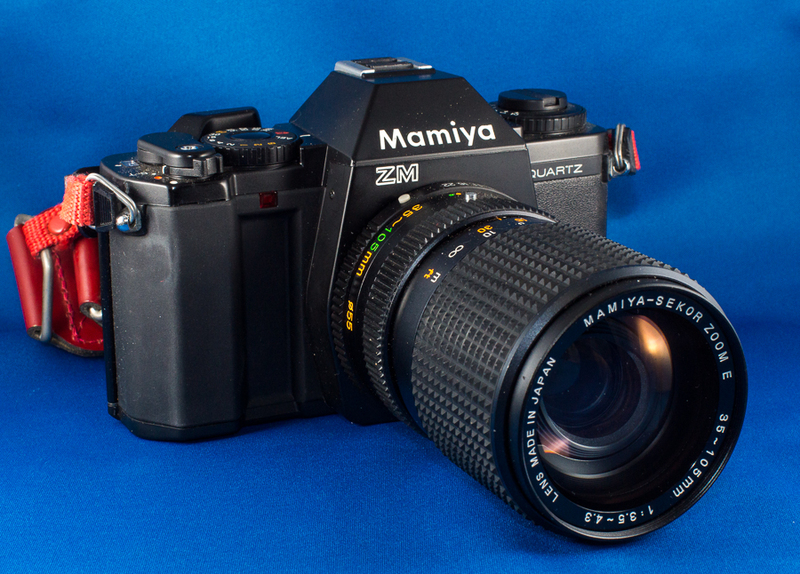 According to one Mamiya related website, this lens is rather rare. Hopefully I will run some film thru this camera in the near future and post the results here.